I hope you enjoy reading about today's Hometown Tour brought to you by Jennie. Hop over to The Country Vaughns and check out her blog. 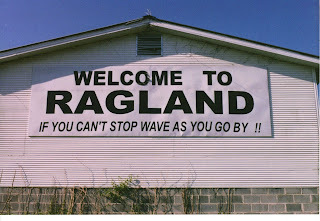 “Welcome to Ragland, if you can’t stop wave as you go by!” That’s the message that greets drivers as they make their way along Alabama Highway 144 as it runs through the small town of Ragland. Situated near the banks of the Coosa River, Ragland is home to approximately 1,900 residents. The town and surrounding rural community are located in Saint Clair County just minutes from I-20, exit 158. At the center of this community lie two important entities – church and school. There are over 25 churches located in Ragland and the surrounding area. Each meets regularly and often sponsors community-wide activities. During the summer these churches host Vacation Bible Schools on a staggered schedule so that local children can attend several throughout the summer months. 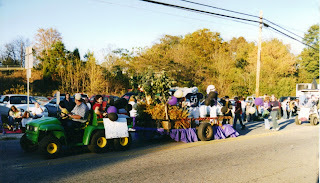 Ragland High School is the local school and home to the Purple Devils. Just over 600 students attend this K-12 school. The pride of the community, RHS is currently undergoing a multi-million dollar construction project which includes a face-lift and middle school addition. School activities and sporting events are often standing room only as the entire community turns out to support the students and student-athletes. While many local residents commute out of Ragland to Gadsden, Anniston, or Birmingham to work others work at one of the several industrial plants in Ragland. National Cement Company and Ragland Brick are both large employers and generous corporate partners to the town and school. 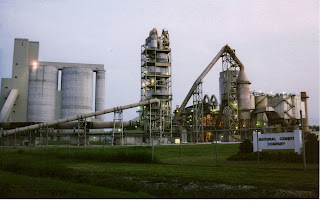 Currently, National Cement Company is in the process of converting some of its land holdings into the Blue Springs Nature Area. This area will allow visitors to enjoy some of Alabama’s most beautiful, unspoiled natural treasures including forests and endangered wetlands. The river offers fishing and boating while there are numerous hunting clubs for the outdoorsman. This is a small town that is supportive of traditional values; American flags fly daily over the town offices, police station, school, and local businesses. Additionally, at each patriotic holiday the streets are lined with crisp flags waving brightly. 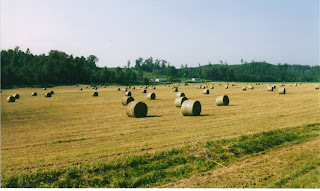 You won’t find malls or mega-stores in Ragland but what you will find is acres of rolling pasture land dotted with cows, horses, and various livestock and a friendly, welcoming environment. Ragland truly is a slice of Hometown Alabama. Thanks Jennie!! Jennie and her husband live on a small farm with their three children. They enjoy the farm life and taking care of their animals. Hop over and pay her a visit. She has an enjoyable blog and I love her farm life stories! Picture credits go to W. O. Wiggins. Thanks again Jennie. .
Yeah Jennie! Great review and it sounds like a great place to live!